(Boundaries: When to Say Yes, When to Say No to Take Control of Your Life by Dr. Henry Cloud and Dr. John Townsend, front flap, 1992). 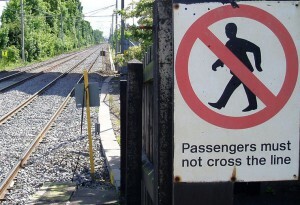 When we think about those who cross boundaries we tend to think about those people who won’t take “no” for an answer or maybe don’t think about how they are imposing themselves upon others emotionally or verbally or even physically. When we think about those who have trouble maintaining their own boundaries, we tend to think of those people who can’t seem to say “no”. Compliants tend to give into and go along with the needs and demands of others. A hallmark illustration is pretending to like the same things as another person simply to “get along” and avoid conflict. Compliants tend to be like chameleons, blending into their social surroundings so that you do not really know who they really are as an individual. A dangerous pattern among compliants is the inability to say “no” to bad things and even not recognizing evil. “Many compliant people realize too late that they’re in a dangerous or abusive relationship. Their spiritual and emotional “radar” is broken” (p 51). Often driving the inability to establish healthy boundaries is fear – usually irrational fear. Avoidants have the “inability to ask for help, to recognize one’s own needs, to let others in. Avoidants withdraw when they are in need; they do not ask for the support of others” (p 52). The main problem in regards to boundaries with avoidants is that they are hiding themselves not only from unhealthy situations but also from healthy and safe relationships – often when the need the latter the most. Avoidants tend to see their struggles and wants as something shameful, thus self-justifying their hiding behind their walls from help. “Compliant avoidants suffer from what is called ‘reversed boundaries’. They have no boundaries where they need them, and they have boundaries where they shouldn’t have them” (p 53). “Controllers can’t respect others’ limits. They resist taking responsibility for their own lives, so they need to control others…They tend to project responsibility for their lives onto others” (p 54). These people are often seen as manipulative and bullies as they seek to get others to carry their responsibilities, burdens, and personal boundaries (see the previous post). “If they’r honest, controllers rarely feel loved…Because in their heart of hearts, they know that the only reason people spend time with them is because they are pulling the strings” (p 57). Aggressive controllers make it obvious that they do not and will not respect the boundaries of others – sometimes resorting to verbal or physical violence. Manipulative controllers try to talk others out of keeping their boundaries and when confronted will often “deny their desires to control others…[and] brush aside their own self-centeredness” (p 55). Nonresponsives demonstrate the inability to respond to the needs of others, within the context of healthy boundaries. They tend to “have a critical spirit toward others’ needs” (due to a hatred of their own needs) and/or are “those who are so absorbed in their own desires and needs they exclude others (a form of narcissim)” (p 58). These boundary crossers “see others as responsible for their struggles and are on the lookout for someone to take care of them. They gravitate towards someone with blurry boundaries, who will naturally take on too many responsibilities in the relationship and won’t complain about it” (p 59). 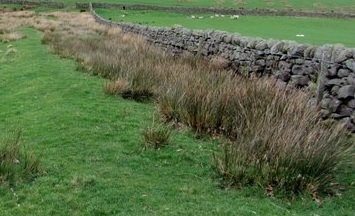 Functional boundaries refer to the ability to complete a task. Relational boundaries refer to the ability to engage another person in an honest manner. Some people can complete tasks quite well (functional) but cannot confront a friend about a bad habit (relational). Others have the ability to engage others in healthy relationships but cannot seem to complete their daily duties in a proper fashion. If you would like help in taking responsibility for your own boundary crossing &/or help in dealing with others who are crossing boundaries, please call CornerStone Family Services at 614-459.3003. Boundaries: What Falls Within Our Boundaries? One of the big areas of learning healthy boundaries (besides establishing consequences that we will enforce if someone trespasses our personal boundaries) is learning and owning what falls within our boundaries. In other words, we must take stock of what we are responsible for in regards to boundaries. Feelings are not to be dismissed, nor are feelings to rule our lives. We need to be aware of our feelings and own our our feelings. Awareness of feelings can help us pause and look at the thoughts driving our feelings. Feelings can also be a good gauge of the status of our relationships. “But the point is, your feelings are your responsibility and you must own them and see them as your problem so you can begin to find an answer to whatever issue they are pointing to” (p 40). “Attitudes have to do with your orientation toward something…Beliefs are anything that you accept as true” (p 40). We often blame others for our attitudes, but we need to own them ourselves because we are the ones who feel the impact of our attitudes and beliefs and we are the ones who can change them. “People with boundary problems usually have distorted attitudes about responsibility” (p 41). One such distortion is the belief that to hold others responsible for their own attitudes and beliefs is mean. “Behaviors have consequences…To rescue people from the natural consequences of their behavior is to render them powerless” (p 41). How we behave results in certain consequences – if we are loving towards others, we have closer relationships; if we are caustic towards others our relationships suffer. We must own our own behaviors and not blame-shift responsibility for our actions onto others. “We need to realize that we are in control of our choices no matter how we feel” (p 42). To say that someone “made us” do something is to live in the illusion that we are not in control of our decisions. Others may influence our choices, but ultimately we make the decisions and are the ones who must live with the consequences. Establishing boundaries means owning our choices. “What we value is what we love and assign importance to” (p 43). One big area where boundaries are crossed in the area of values is when we seek the approval of others, thus compromising our values, or when we value things that are temporary and don’t have a lasting value. Boundaries help us to own our healthy values and see our harmful values so that the latter can be changed. We can set limits on how much we expose ourselves to people who are behaving poorly (since we cannot make someone change). For example, you can say, “You can be that way if you choose, but you cannot come into my house” (p 43). We can also set internal limits that allow us to think, feel, and desire certain things without acting upon those impulses. “Internal structure is a very important component of boundaries and identity, as well as ownership, responsibility, and self-control” (p 44). Our particular talents are within our boundaries and are our responsibility to cultivate. “We must own our own thoughts…We must grown in knowledge and expand our minds…We must clarify distorted thinking” (p 45). Since our thoughts dictate our feelings, are our thoughts are often colored and distorted by past experiences and unhealthy patterns, we must learn to own our thoughts and challenge the reality of our thoughts. Healthy thinking in relationships means taking the initiative to check to see if our thoughts may be wrong and then collect new information to readjust our thinking in line with reality. Healthy boundaries in thinking also means that we should not expect others to read our minds nor assume that we can read the minds of others; rather, we work on healthy communication skills. Our desires are within our personal boundary lines. Often our desires are distortions or masks of what we are truly seeking – so we must do the hard work of digging deeper. For example, some people follow destructive sexual desires because they do not realize that their true desire is love and affection – something their destructive actions will never give them in the long run. Other times we desire something that we want but do not need resulting in disappointment, envy, or anger. Owning our desires allows us to see what is healthy and what is unhealthy. “Many people have difficulty giving and receiving love because of hurt and fear…Our loving heart, like our physical one, needs and inflow as well as an outflow of lifeblood...We need to take responsibility four this loving function of ourselves and use it. Love concealed or love rejected can both kill us” (pp 47-48). If you would like help in taking responsibility for your own internal boundaries &/or help in allowing others to take responsibility for their own internal boundaries, please call CornerStone Family Services at 614-459.3003. 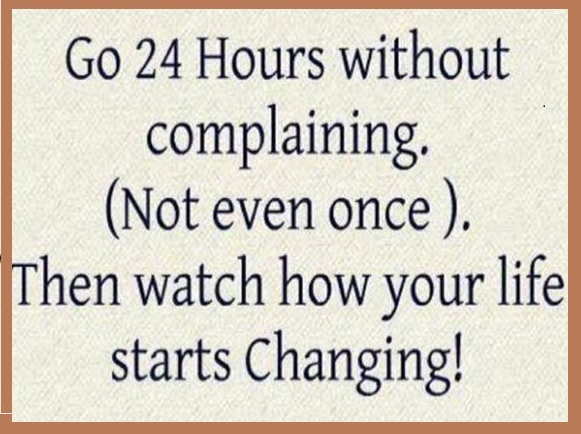 Have You Ever Tried Going a Day Without Complaining? Have you ever taken the time to count how many times you have complained in a day? We seem to find something to complain about – the weather, the traffic, the coworkers, the amount of work to do, the amount of sitting around doing nothing, the family, the pains in your body, and on and on and on. What if we realized that what we say, how we say it, and how often we say something actually does impact our outlook on life, others and ourselves? (Because it does. A lot.) What would change? Try an experiment. Go about your day without complaining. Every time you think about complaining, give thanks for something (but not in a complaining thanksgiving kind of way). It will likely be very difficult at first, but as you change your self-talk, and talk about others and things, you will, over time, begin to change for the better from the inside out. For help with your self-talk, view of others, and view of the world, please contact CornerStone Family Services at 614-459-3003. The syndrome is not currently considered a psychopathology, given the World Health Organization has not recognized it as a psychological disorder. However, an increasingly larger number of adults are presenting emotionally immature behaviors in Western society. They are unable to grow up and take on adult responsibilities, and even dress up and enjoy themselves as teenagers when they are over 30 years old. 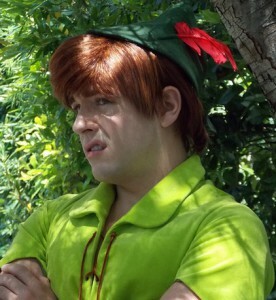 The professor declares that the biggest disadvantage of both disorders (Peter Pan and Wendy Syndromes) is usually that the person who suffers from them doesn’t feel as though they are part of the problem, they are not aware of it. Robles points out that the only solution for this disease is the right psychological treatment, not only centered on the person who suffers from the disorder but also on his/her partner and family. University of Granada. “Overprotecting Parents Can Lead Children To Develop ‘Peter Pan Syndrome’.” ScienceDaily. ScienceDaily, 3 May 2007. <www.sciencedaily.com/releases/2007/05/070501112023.htm>. If you believe that you are struggling with Peter Pan Syndrome or Wendy Syndrom, please contact CornerStone Family Services for assistance at 614.459.3003. Swap omega-6-heavy mayo for omega-3-loaded mustard and get an instant mental health boost. While essential, omega-6s are also inflammatory, and are linked to obesity, diabetes and depression. 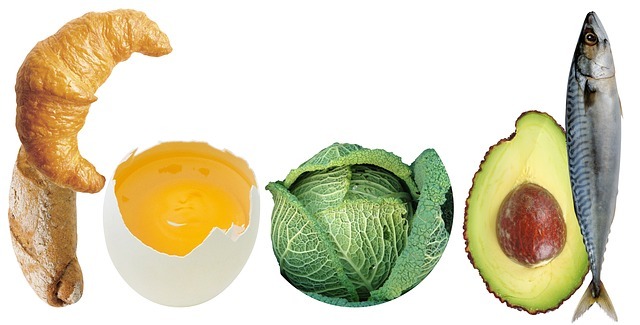 Mayonnaise, made from grain and seed oils, provides a whopping 11,359 mg of omega-6 per ounce. The humble yellow mustard, on the other hand, is among the top dozen or so sources of omega-3 acids, with nearly half as much, ounce per ounce, as canned tuna. A 2013 study in theJournal of Nutrition found that higher levels of omega-3s relative to omega-6s were linked to lower risks of depression. Pumpkin seeds are like crunchy little nuggets of Prozac Helper. They’re one of the best food sources of an amino acid known as tryptophan, which helps the production ofserotonin in your brain. Antidepressants help the brain to circulate serotonin, so if you’re taking them now, these little pumpkin pick-me-ups may make them even more effective. Spice them up and swap them in now for Chex Mix, which is made from wheat, corn, and vegetable oil, all of which are high in omega-6 fatty acids. A study found that those with the highest intake of omega-6 fatty acids have twice the risk of becoming depressed. Dark chocolate perks up your brain in four different ways; it boosts serotonin and endorphins, the feel-good hormones; it’s rich in B vitamins and magnesium, which are noted cognitive boosters; it contains small amounts of caffeine, which helps with short-term concentration; and it contains theobromine, a stimulant that delivers a different sort of buzz, minus the espresso shakes. As if that’s not enough, it’s also one of our 10 Libido-Lifting Foods (go ahead and click, no one’s watching and it’s SFW). The catch: most treats labeled “dark chocolate” have had the healthy nutrients processed out of them. A product like Hershey’s Special Dark is made with alkalized, or “Dutch” chocolate, which destroys up to 75% of the healthy ingredients in the chocolate. Look for a bar that’s labeled “72% cacao” or above, even if the calorie count is a bit higher. Darkly-colored berries lead to weight loss, decreasing the formation of fat cells by up to 73%—that alone will improve your mood. But berries also carry heavy doses of vitamin C. Too little C—a possibility when you’re hunkering down on comfort foods and no longer enjoying a summer bounty of tomatoes, peppers and fruit salads—can lead to fatigue, depression, low motivation, and the general feeling that you’re sloshing around in wet snowboots 24/7. Avoid the imposter “juices”—V8 Splash is a pathetic 10 percent juice—and power up with R.W. Knudsen Just Blueberry. Add a glass in the AM, along with these 6 Morning Rituals That Guarantee a Great Day. Kale gets all the green-market glory, and everyone knows what spinach has done for Popeye, but humble Romaine lettuce tops them both in nutrient density, according to William Patterson University researchers. One of the main nutrients in Romaine and other leafy greens is the B vitamin folate. 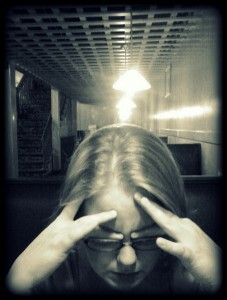 Recent Finnish research showed that low folate levels were found in depressed members of the population. Unfortunately, proud Romaine is often downgraded to a veritable junk food when it’s paired up with commercial Caesar salad dressing, an oil-based bastardization of the traditional Italian recipe that’s one of the foods highest in depression-causing omega-6 acids. Lift your spirits by topping your salad with an olive oil vinaigrette, which boasts both heart-healthy monounsaturated fats and mood-boosting mustard seed. By W. Douglas Tynan, director of integrated health care for the American Psychological Association. We all know exercise generally benefits children, and another study to confirm that was recently published in Pediatrics. Though this finding may yield a yawn or two, the latest research goes well beyond quantifying what most of us think is true. Charles Hillman from the University of Illinois and colleagues found kids who took part in regular physical activity enhanced their cognitive performance and brain function. His group looked at the impact of a little more than an hour of vigorous exercise followed by 45 minutes of a less-vigorous skills game for a total of two hours every day after school during 150 days of a school year. On measures of concentration, attention, flexible thinking, controlling impulses, and actual brain activity measured by scalp electrodes, the exercise group of these 8- and 9-year-old children did much better overall. “The message is, get kids to be physically active” for the sake of their brains, as well as their health, Hillman told the New York Times. After-school programs like the one he and his colleagues developed require little additional equipment or expense for most schools, he said, although a qualified physical education instructor should be involved. The Atlantic magazine cited the results and suggested this might be a treatment for impulsive and overly active children. What makes these results so extraordinary is they are not unusual. Three years ago, Catherine Davis at the University of Georgia did another study of slightly older children who were overweight and did low-level (20 minutes per day) and higher-level (40 minutes per day) exercise versus a control group. They did only about 15 weeks, or half a school year, and found the same results. In a small group of subjects examined with a functional MRI of the brain, Davis found changes in brain activity that can be seen on the visual image of brain function, along with better scores in math, organization, and control of impulses. In science, replication is key, and here we have two groups, working independently, getting the same benefit from vigorous exercise, and the same test results and brain activity changes. Other studies of school exercise in Delaware have shown 30 minutes of physical activity raises test scores and lowers absences. If there were a medicine that showed this benefit, there would be full-page advertisements in this newspaper. If there were a curriculum that showed this benefit, it would be snapped up by your local school district. But it is not a product; it is a lifestyle to be taught in school and at home. Just an hour of vigorous activity, either through games or other play, enhances academic, cognitive, and executive skills of planning and self-control. Schools and families that limit or eliminate these opportunities impede children’s progress. The science is clear. To advance academically and in terms of self-control, children’s bodies need to move. An extra hour of instruction may help, but if it comes at the cost of reducing active play, it will probably hurt. It has been said that when we do not forgive people, it is like we are drinking poison and expecting the other person to die. Another similar saying is that anger corrodes the vessel in which it is held. Both of these sayings encourage us to not hold onto to anger and to forgive, lest we suffer the consequences. 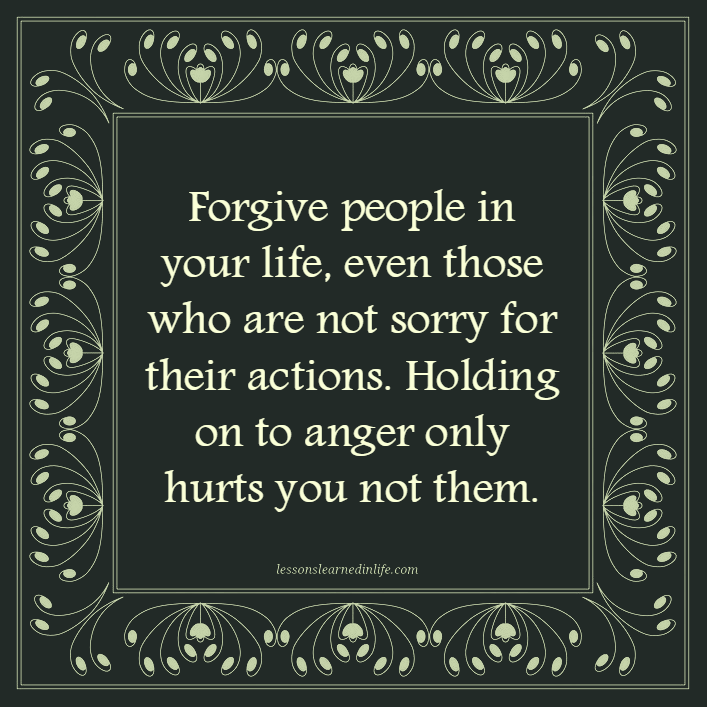 Some people dismiss these saying as just another way of saying, “be nice,” but studies have shown the truth behind them – when we do not forgive and when we hold onto anger, we are the ones most hurt. If you would like help on learning how to healthily forgive and deal with your anger, please contact CornerStone Family Services at 614.459.3003 to set up an appointment with one of our coaches or counselors. There is no need to be controlled by negative thoughts, feelings, or situations. 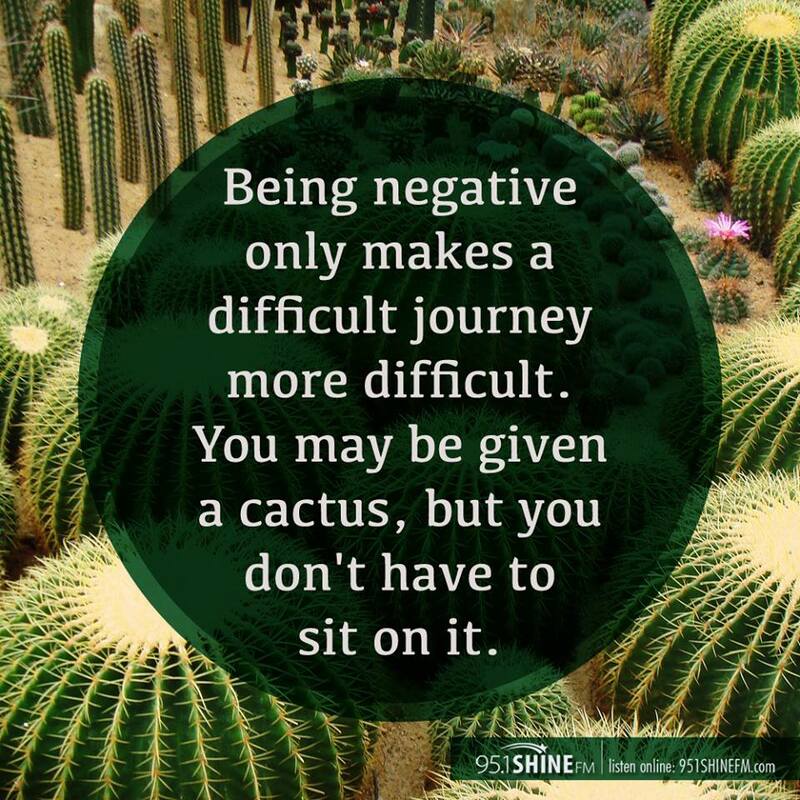 If you would like help avoiding the pain of the “negative cactus” or cacti in your life, give CornerStone Family Services a call at 614.459.3003. Everyone who has ever held a job has, at some point, felt the pressure of work-related stress. Any job can have stressful elements, even if you love what you do. In the short-term, you may experience pressure to meet a deadline or to fulfill a challenging obligation. But when work stress becomes chronic, it can be overwhelming — and harmful to both physical and emotional health. There are many ways to deal with stress, from trying to relax with meditation to take supplements such as Zach Attack Supplements there are mention options out there for those who are dealing with it. A 2013 survey by APA’s Center for Organizational Excellence also found that job-related stress is a serious issue. More than one-third of working Americans reported experiencing chronic work stress and just 36 percent said their organizations provide sufficient resources to help them manage that stress. Perhaps they should try some stress supplements as CortiTrax helps block it out while also increasing your memory too! What does it mean when someone talks about “mental health”? How is “mental health” defined? What are some key characteristics that are considered when considering is someone is mentally healthy or struggling in regards to their mental health? This helpful video by Dr. Mike Condra gives an short answer to the question, “What is mental health”? Contact CornerStone Family Services for more information about mental health. If you or someone you know would like to strengthen their mental health or get help in improving areas of struggle, please call CornerStone Family Services at 614-459-3003.